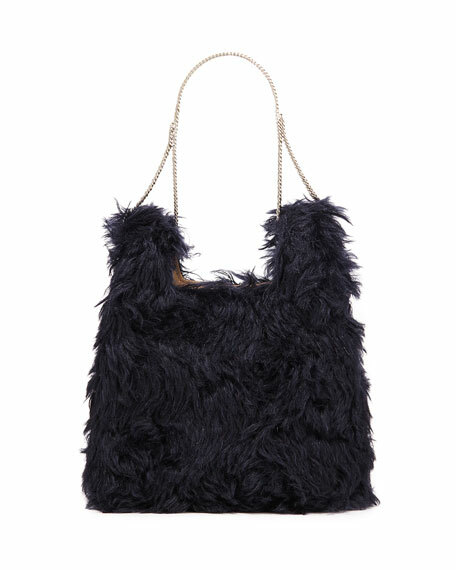 Hayward mini tote bag in faux fur (wool mohair/cotton). For in-store inquiries, use sku #2635847. 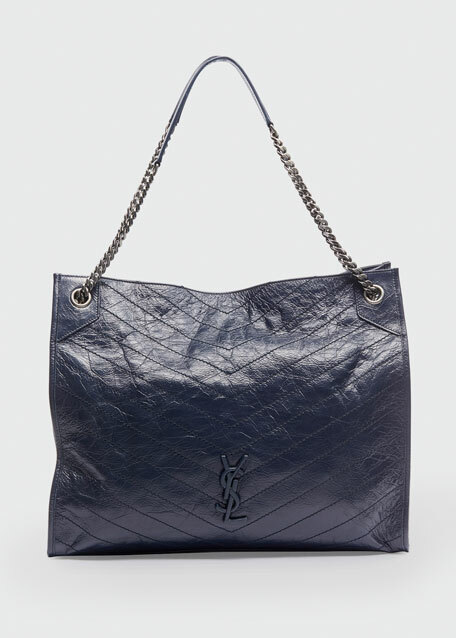 Saint Laurent crinkled calf leather tote bag in subtle Y stitching. 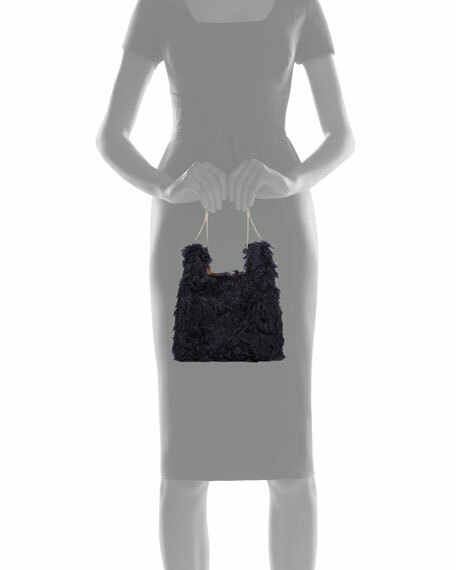 Chain and flat shoulder straps. Open top with snap closure. Signature YSL hardware at center. 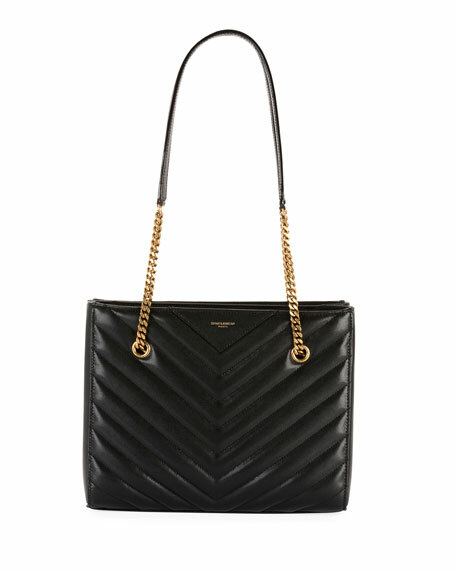 Saint Laurent quilted calf leather tote bag. 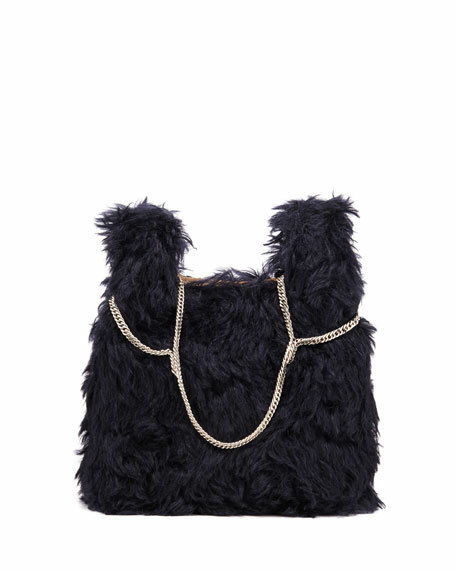 Chain and flat shoulder straps. Dual compartments with recessed zip tops. Exterior, logo at center front. 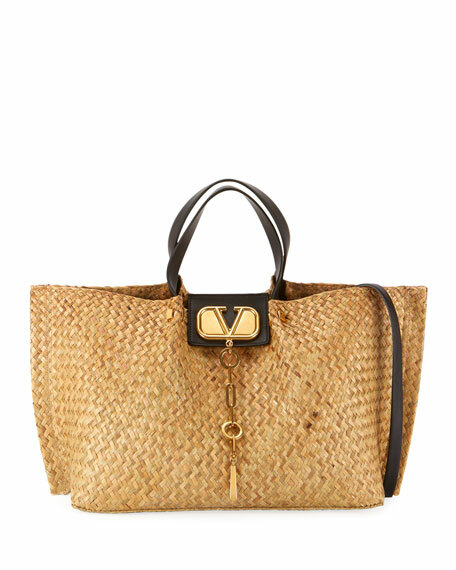 Valentino Garavani medium woven straw tote bag with leather trim. Flat top handles. Flap-over top with metal logo and hanging chain. Interior, leashed zip pouch bag. 14.6"H x 16.9"W x 7.9"D. Made in Italy.